Research has shown a strong biological component for this disorder, with environmental factors playing a role in the exacerbation of symptoms. 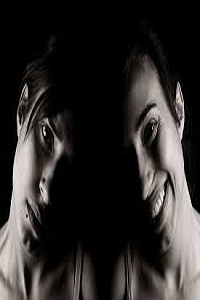 Bipolar I: For a diagnosis of Bipolar I disorder, a person must have at least one manic episode. Mania is sometimes referred to as the other extreme to depression. Mania is an intense high where the person feels euphoric, almost indestructible in areas such as personal finances, business dealings, or relationships. They may have an elevated self-esteem, be more talkative than usual, have flight of ideas, a reduced need for sleep, and be easily distracted. The high, although it may sound appealing, will often lead to severe difficulties in these areas, such as spending much more money than intended, making extremely rash business and personal decisions, involvement in dangerous sexual behavior, and/or the use of drugs or alcohol. Depression is often experienced as the high quickly fades and as the consequences of their activities becomes apparent, the depressive episode can be exacerbated. Bipolar II: Similar to Bipolar I Disorder, there are periods of highs as described above and often followed by periods of depression. Bipolar II Disorder, however is different in that the highs are hypo manic, rather than manic. In other words, they have similar symptoms but they are not severe enough to cause marked impairment in social or occupational functioning and typically do not require hospitalization in order to assure the safety of the person. Medication, such as Lithium, is typically prescribed for this disorder and is the corner stone of treatment. Therapy can be useful in helping the client understand the illness and it’s consequences and be better able to know when a manic or depressive episode is imminent and to prepare for this. As with all disorders, poor coping skills and lack of support will make the illness more pronounced, and this is often a focus of therapeutic treatment. For more severe cases, prognosis is poor in terms of ’curing’ the illness, as most people need to remain on medication for their entire lives. The manic episodes may slow down as a result of the natural aging process. With medication, the illness can be kept at a minimum level, with some people not experiencing any overt symptoms for months and even years. However, there are definitely varying degrees of this illness and it is not difficult to misdiagnose due to it’s similarity to other mood disorders. If the illness is not severe, often times medication and therapy can do very well in terms of treatment. And, life experience, strong support, and an openness to improve can be enough sometimes to make a difference in outcome.